Pattern includes preprinted background fabric! Finished project fits a standard 8" x 10" frame. The embroidery lines are printed on too - no tracing needed! Click on the small additional image below main image to see what the preprinted fabric looks like. 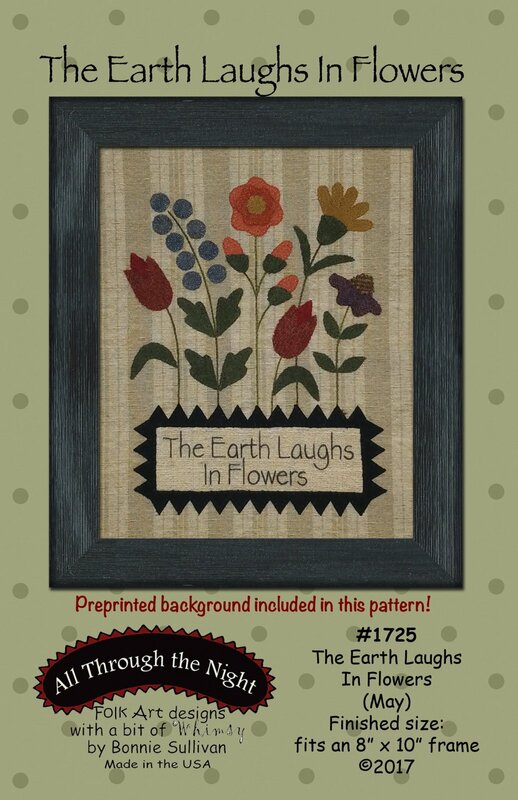 Check out the Free Downloads under the Shop tab for directions on how to assemble the 12 Block-of-the-Month patterns with pre-printed backgrounds into a wall hanging.